Health is not merely the absence of disease, it’s much more than that. A state of optimal health involves a balance in the physical, mental, emotional, environmental, social, and spiritual spheres. This may seem like a novel concept to some, but from a naturopathic perspective, this is well understood. All these elements affect our overall health, and unfortunately, mental health to this day is still misunderstood and carries a lot of stigma with it. When we break a bone, we go to the doctor to get treated and no one would ever question it. If we decided not to go to the doctor, people would think there was something wrong with us. On the other hand, when we need to see a doctor for a “mental” condition, say something like depression, some people might look down on us. They may tell us it’s not necessary to see a professional for feeling down, and that we just need to snap out of it. As a naturopath, I think mental health issues need to be dealt with, but not always with drugs. If something relatively gentle like an herb can help relieve symptoms, then I suggest using that first. Some natural therapies such as exercise and hydrotherapy, specifically cold showers, have many studies to support their use in the treatment of mild to moderate depression. Herbs such as Saint John’s Wort are commonly used in Europe, more so in Germany where it is prescribed by medical doctors to treat sleep disorders, anxiety as well as depression. If natural therapies alone are not effective, that’s when I suggest moving on to stronger pharmaceutical agents. You can always use natural treatments as supportive therapy. I once had a schizophrenic patient who was able to work with his psychiatrist and myself to stabilize his symptoms. Even with his medication, he was having trouble coping. We used dietary changes, supplementation, lifestyle modifications, herbal medicine, and homeopathy to support his body and mind. He was a very good patient and followed the recommendations carefully. In the end, his psychiatrist saw such positive results (she was shocked actually) that he was able to decrease his meds. Important: Never attempt to lower your medication dosage, or to incorporate herbs and supplements on your own. Always work with a naturopath in collaboration with your prescribing doctor. 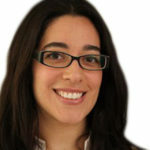 Another point to mention in the treatment of mental conditions is the importance of finding the root cause of disease. This is one of the key principles of naturopathic medicine. There is a lot of interesting research in recent years looking at the effects of the gut microbiome, and how it impacts our mental health. The gut-brain axis or the connection between the intestinal tract and the brain is now well understood. The microbiome, the collection of micro-organisms such as bacteria, fungi, and viruses that reside in our digestive tract, is an integral part of that relationship. Evidence is mounting to demonstrate that specific toxic by-products from some of the harmful organisms found in the microbiome can impact brain function in a negative way. Ultimately the important thing to do when mental health is at stake is to get treatment. Find a doctor you trust and who cares about you. Work with them to find the right course of treatment unique to your needs and consider collaborating with other professionals to treat your condition from multiple angles. Take advantage of the resources provided in this edition of beijingkids, and don’t be afraid to ask for help if you need it. 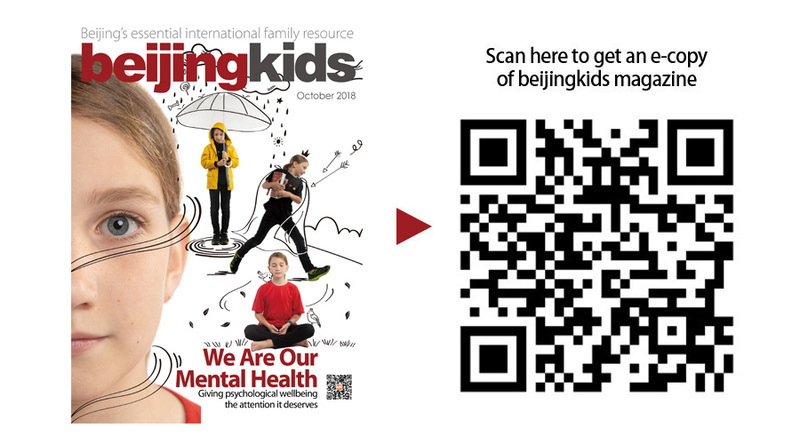 This post appeared on the beijingkids October 2018 Mental Health issue.